Our people are our best asset. After all it’s our people, their skills and industry expertise that make your experience with BriX Projects exceptional. We are a strong team focused on personal, responsive service. With over 25 years’ experience in skilled labour hire and recruitment, our team has the construction industry experience and insight to match the right people to your project, first time, every time. Our Directors come from an Electrical Engineering background and have over 30 years extensive experience in the civil , construction and Electrical industry. They have played an integral role both in the establishment and growth of Brix projects since it was founded. They always look at ways to improve the business, develop new opportunities and ensure good working relationships with every client. Having spent years providing staffing solutions to a wide range of sectors within the industry, they believe strongly in promoting these quality values to each member of the team. With over 15 years’ experience in the industry our Sales Director is responsible for the growth of our new and existing customer base, exceeding company sales targets and maximising client relationships. As a company we have an ambitious vision which we are confident we can over-achieve with our Sales Directors mission to build lifelong partnerships, provide honest and professional advice, create trust and a memorable experience with every client for many years to come. Our Senior Management team has a wealth of industry experience and capabilities. Together they oversea the daily operations for Brix Projects and are committed to building a company culture that promotes a customer-centred approach and rewards great work. They believe that success is achieved through nurturing long term relationships and keeping the needs of the customer at the heart of everything the business does. Our sales representatives are one of our greatest connections to our customers, gathering feedback and suggestions, assisting in the order process and advising on suitable candidates along with anything else you might need. They are your first point of contact, the team brings a genuine understanding of the challenges and issues you face in sourcing the right candidates for a project. Once your project begins they will continue to keep in contact with you to ensure your continued satisfaction with our service. You’ll get to know your designated Account Manager extremely well. They know how to deliver the WOW factor and will be your central contact point and go-to person once your project begins. Having both industry and trade experience, they communicate well with our workforce and are passionate about exploring those complex issues that clients face daily. They’ve worked on site, so they speak your language and understand the type of people you need to deliver outstanding results, on time and to budget. Our Resource Managers have been sourcing and selecting skilled tradesman and construction workers for the majority of their careers across the Electrical, Civil and Rail Industries. Their expertise and wide candidate network enables us to deliver the best solution for your workforce needs. They work as a tight team with our sales representatives so they are fully briefed on your business and project needs, and are able to deliver the right person for the job, every time. 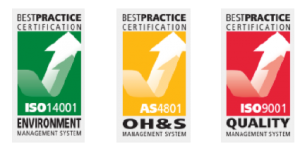 Our Workplace Health and Safety Manager ensures the wellbeing and safety of all of our staff and contractors and was intimately involved in the upgrade and implementation of our management system in line with Australian standards for quality, environmental and health and safety management. While our Workplace Health and Safety Manager will conduct regular internal audits to maintain and enhance our safety protocol, every six months our integrated management system will also be audited by a third party to ensure we maintain our certification. Our accounts team is the backbone of our business, keeping it running like a well oiled machine. With strong backgrounds in customer service, a passion for technology and attention to detail, they make sure our workers are paid on time, and that we deliver our invoices to you simply, accurately and on time every week. Our skilled and motivated tradespeople and construction workers we deliver to you on site work seamlessly and safely with your teams, making a real difference to your productivity and project outcomes. Their proven experience across the full range of trades and construction skills means they’re ready to work with you at short notice. BriX Projects labour hire is a member of the Master Builder’s Association, which helps us to deliver superior quality outcomes for our clients by keeping our people updated on a range of issues from changes to laws, codes and regulations to employment and wages, and work, health and safety issues. Call us today on 1800 621 066 to meet our team and discuss your upcoming labour needs.